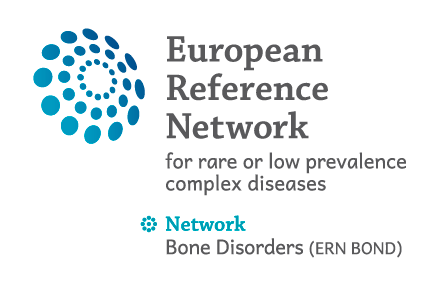 The main ambition of the BOND ERN is to implement measures that facilitate multidisciplinary, holistic, continuous, patient-centred and participative care provision to people living with rare bone diseases (RBD), supporting them in the full realisation of their fundamental human rights. In particular, BOND ERN aim to ensure that people living with a RBD are afforded the same standards of care and support as the ones available to other citizens with similar requirements. T o meet this goal, BOND ERN gathers European professionals highly specialized in the field of RBD for both scientific research and multidisciplinary care to increase knowledge on RDs, to improve healthcare quality and patient safety, to increase access to ultra specialized medical expertise and accessible information beyond national borders, in accordance with Directive 2011/24/EU. 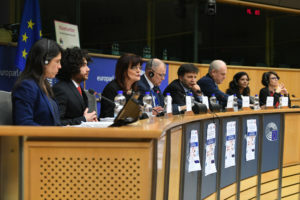 ERN BOND aspiration is to support patients affected by rare bone diseases and their families, to increase their capacity to undertake a participative role in care provision, to set priorities and to participate in decisions regarding their care plan and their life project, in accordance with EUCERD recommendations (2013). BOND ERN aims to assess patients and families accessibility to and appropriateness of healthcare and social services. At the same time, the Network seeks to evaluate healthcare, social effectiveness, cost-effectiveness of actions implemented, measuring their impact on the quality of life of people living with RD. BOND will bring rapid interchange of information, skills and practice to shorten time to diagnosis, and treatment. BOND will develop, with PAGs, evidence/consensus-based guidelines to improve agreed outcomes in the 3 exemplar conditions, OI, XLH and ACH. BOND HCPs will share clinical/phenotypic data within existing databases by developing tools to interrogate and combine data from these to create epidemiological surveillance registries, allowing improved understanding of interventions and co-morbidities at an individual level, and enabling refinement and standardization of diagnostic algorithms, management guidelines and outcomes. BOND will enable skill development through eHealth and Telemedicine platforms, alongside working visits, training courses and dissemination activities. BOND will work with PAGs in all activities to ensure patient-focused developments, with patient-reported outcome and experience measures to be adopted as specific outcomes against which to assess BOND performance in improving healthcare. 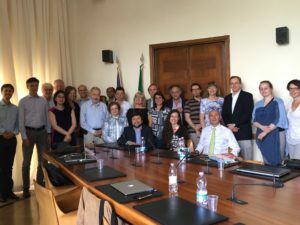 BOND will be instrumental for collaboration across Europe for clinical trials with novel orphan drugs, coordinated supportive care measures and translation of current research into patient benefit, alongside development of new approaches such as targeted (epi)genome editing that may be of great potential especially for the rare bone diseases. We anticipate interaction with and provision of expert advice to regulators and commissioners of care to define appropriate patient-centered outcomes for CTIMPs. We expect that reduced time to diagnosis with fewer inappropriate tests, more accurate diagnosis and new viable treatments will be available within the 2-3 years and that the visibility of expert teams will be a magnet for attracting complex cases with improved communication allowing many more to receive their care locally with support from their expert centre HCP. BOND will target less developed affiliate partners where the gap between existing provision and that aspired to through BOND is largest, meeting the target of improving healthcare in ALL Members, whether in BOND or not. We expect that reduced time to diagnosis with fewer inappropriate tests, more accurate diagnosis and new viable treatments will be available within the 2-3 years and that the visibility of expert teams will be a magnet for attracting complex cases with improved communication allowing many more to receive their care locally with support from their expert HCP. The ERN BOND brings together all rare diseases, essentially congenital, chronic and of genetic origin, that affect cartilage, bones and dentin. This considerable group of diseases present a significant variation in clinical outcomes and limited research program are currently available to clarify their physiopathological bases. This large field may be shared in two main categories, skeletal dysplasia and metabolic bone diseases. These 2 categories themselves are subdivided in several thematic and sub thematic groups. The nosology and classification of genetic skeletal dysplasia delineated in 2015 more than 430 various rare disorders, (Bonafe et al. Am J Med Genet Part A, 2015) and more than fifty specific metabolic bone diseases, due to a disorder of mineralized tissues with bone involvement, but without official classification. Some disorders, such as osteogenesis imperfecta (OI) or Morquio disease belong to these two categories of disorders. Never the less, the principles of diagnosis, management and follow up are quite overlapping, giving a greater coherence and consistency for categorization. from basic research through translational research, or through biopharmaceutics research and development collaborations. Among the eleven main groups, nine are determined according to clinical-radiological symptoms entraining the diagnosis approach: 1/ short stature (disproportionate or not in mild forms), 2/ increased bone fragility, 3/ increased bone density, 4/ abnormal development of skeletal component, 5/ spondylo-epi-(meta)-diaphyseal dysplasia, 6/ acromelic dysplasia, 7/ multiple dislocations 8/ dysostosis. Two are determined by following the physiopathological pathway, namely ciliopathies with major skeletal involvement and X-linked hypophosphatemia. Although prioritization of some diseases is mandatory for the implementation of BOND, it will of course be important to keep a larger view, and progressively to open the field to other ultrarare/“forgotten” other bone diseases. 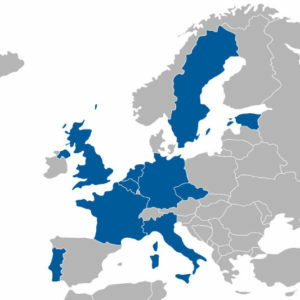 BOND ERN will establish European specific pathways, research programmers, and specific outcomes for patients in order to realize a European Health System. To facilitate the organization of scientific activities and the management of the Network, in coherence with Annex 5 “BOND ERN Network Application Form”, the Scientific activity of BOND ERN is structured in Working Groups (WG). Each WG will be headed and coordinated by an experienced principal investigator as WG Leader. They are responsible for the management of their WG scientific activities (see Chart 1 and 2).